Carrots are one of the most versatile, useful, and humble ingredients of the cooking world. Inexpensive and available year-round, they add an underlying sweetness to soups, stocks, and sauces when used in a mirepoix but this recipe proves that they can also be the star of the show. Carrots are first roasted with onions and garlic until caramelized to deepen their natural sweetness. Then, the mixture is simmered with a host of Moroccan-inspired ingredients like orange, ginger, and cumin, until the flavors come together. After a final spin in the blender, this warming soup is topped with crumbles of feta for a salty bite and a sprinkle of za’atar (an herbaceous Middle-Eastern spice blend) for the perfect weeknight meal for fall. 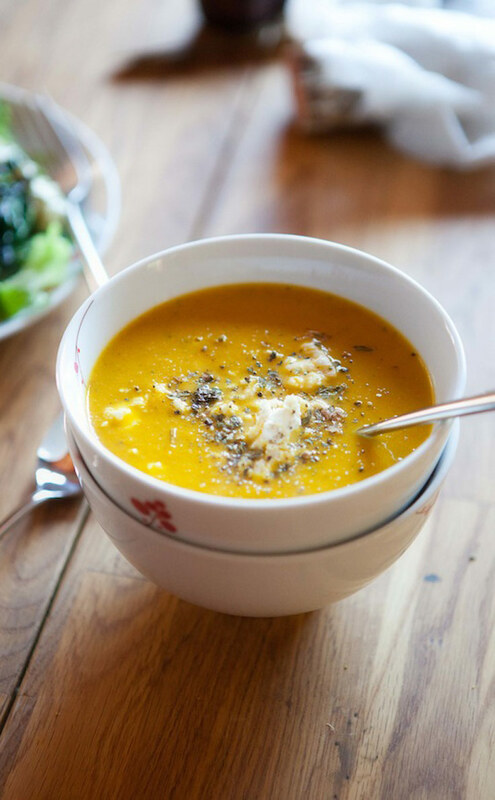 Here's a handy tip to help you make this Roasted Carrot Soup with Citrus and Cumin recipe.